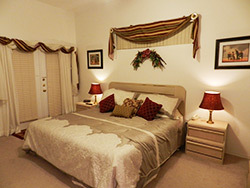 Annan Villa is a luxury holiday Villa in a tranquil setting in Doral Woods, Central Florida. 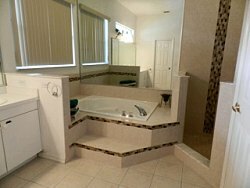 We are delighted to invite you to use our Doral Woods home for your family vacation in Florida. Doral Woods is a firmly established development and recognised as an unspoilt premier vacation community. Those lucky enough to discover its tranquil setting cannot resist returning year after year. 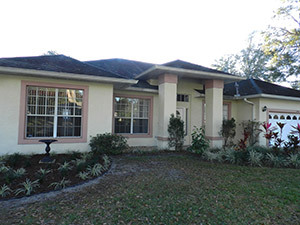 Find out more about the location of this self catering holiday villa nr Kissimmee in Central Florida. See our video below of Annan Villa - also known as 'The Haven'. View more details of this luxury vacation holiday villa in Florida, or take a tour with our interactive floorplan of the villa. 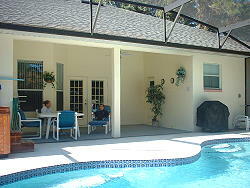 See our rates page for the prices of this self catering holiday villa in Doral Woods near Kissimmee. Content is copyright Annan Villa, Doral Woods, Florida, USA.